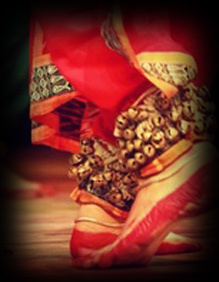 Classes – Chitralekha Odissi Dance Creation Inc.
Chitralekha Dance Academy offers a thorough curriculum of public and private Odissi dance classes to ages 5 and up. Beginning from basic exercises which condition the body for Odissi movement to advanced Odissi items of the traditional repertoire, CDA is the premiere Odissi Institute in North America and has produced generations of excellent Odissi proponents. Students will learn all theoretical and practical aspects of the ancient art form in its traditional languages such as Sanskrit and Oriya, as well as its origins and history. Performances can begin from within the first year of training given that the student is dedicated to regular practice. Even though students are provided with materials detailing all basic feet, hand, head, eye, neck, and body positions, students are requested to come to class with book or binder with blank pages and a writing instrument. Costumes, jewelry, and music are available for purchase once the student begins to learn an item of the repertoire. Salwar Kamees and chuddidar with dupatta (traditional Indian garb) is encouraged to be worn to class otherwise track suits or a stretchy material. No jeans, cords, or skirts are worn in class. Long hair must be tied back and short bangs clipped. No shoes are permitted in the classroom at anytime.